Technology and sports team up to bring new athletic bands and features to the new swim-proofing, GPS, new bands, and more with Apple Watch Nike+. Updated April 2017: NikeLab has just announced an exclusive new "neutral-toned" style Apple Watch NikeLab, which is Space Gray with a Light Bone/Black band. It's otherwise identical in form and function to the standard Apple Watch Nike+. If you like it, you'll need to get it directly from Nike.com starting April 27. Back in October, Apple announced Watch Series 2, which brought the global positioning system (GPS), swim-proofing, longer battery life, and a brighter display to the wrist. In addition to continuing their existing partnership with fashion house Hermés, Apple also announced an all new one: with athletics company Nike. Given the fitness focus on Apple Watch Series 2 — and Apple CEO, Tim Cook's position on the Nike board — it made total sense. At least in concept. So, how's the execution? I've spent three months with Apple Watch Series 2 and a month with Apple Watch Nike+, and here's the answer! Apple Watch Nike+ is a variant of Apple Watch Series 2. More specifically, a variant of the aluminum Apple Watch Series 2, the type previously branded as "Sport". There aren't any anodized gold or rose gold options in the Nike+ line though, but these are silver and space black, along with distinctive Nike+ bands and a watch face to match. Apple Watch Nike+, like all Apple Watch Series 2, is swim-proof. Just do it — in water! There's no stainless steel option for Apple Watch Nike+. Since it's designed for health and fitness, though, the sportier aluminum version is the better fit. Inside, though, there's the new dual-core Apple S2 system-in-package (SIP) with built-in GPS, which means it can lap the original when it comes to performance. It can also track your running, walking, wheeling, and swimming routes, even if you don't have your iPhone with you. Nike+ seems biased towards running, but it's got the same swim-proofing as every other Series 2, so you can do your laps in a pool or swim along the coast and, every time your watch breaks surface, your route will still get mapped. Regardless of how you're working out, the double-bright screen will also make it easier to see your stats, even in the sun. On the watchOS side, there's extra integration for the Nike+ app. If you don't already have it, you'll be prompted to download and install it as part of the setup process. From there, you can access it via Siri or right from the two special Nike+ watch faces, one digital, one analog. They have BIG, BOLD numbers on them, so it's easy to see while you're out for a run — either in silver or in electric green "volt". And if you're not out for a run, the Nike+ complication will stare at you, prompting you, until you go. That's the biggest advantage of Apple Watch Nike+ — it ties you into the larger Nike+ community and that's great because it's less about brand and more about lifestyle. It's also great for people who are intrinsically motivated. Activity Sharing on iOS does wonders for this already, but Nike+ goes beyond Apple hardware. It becomes a very literal extension of the "just do it" philosophy, making sure you've "just done it", both now and next time. To be honest, though, I got more out of Apple's Activity Sharing than Nike+. Both are great but my friends are all on Activity Sharing, not Nike+, so that was a better experience for me. It'll vary for each individual though, and that's the real advantage of having both. 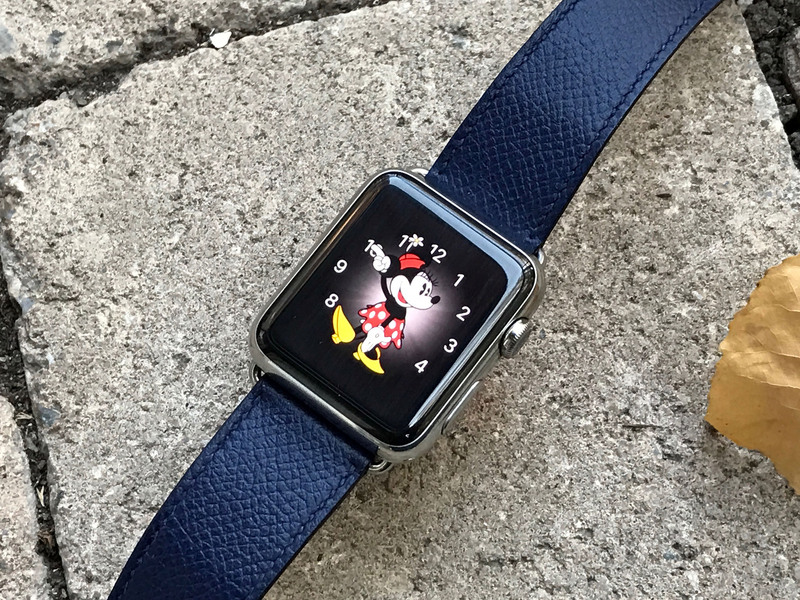 Rather than recapitulate the Series 2 hardware or watchOS 3 software reviews, I'll simply point you to my colleague, Serenity Caldwell's original reviews, and my second opinion follow up. Everything we wrote there applies here. Apple Watch Nike+ comes in a "collection", or a series of different case and band colors. You can't currently buy Apple Watch Nike+ bands separately. Apple Watch Hermès started similarly but the bands eventually did go on sale separately. It remains to be seen if Apple Watch Nike+ will follow along, but unless and until it does, you should make sure you get the color you want right up front. 38mm or 42mm space gray case with black and volt (green) sports band. 38mm or 42mm space gray case with black and cool gray sports band. 38mm or 42mm silver case with silver and volt (green) sports band. 38mm or 42mm silver case with silver and white sports band. There's also an exclusive, special edition NikeLab version with a light bone and black band. The sports bands, as the name implies, are variations on the classic Apple sports band introduced with the original Apple Watch. Made of fluoroelastomer, it's water and sweat proof, resilient, and easy to both put on and tuck away. All of which makes it ideal for exercise. The big difference is the perforations that run, staggered three across, almost the entire length of the band. Not only do they look hella cool, they make the sport band breathe better. When Apple debuted the woven nylon band back in March of 2016, I liked it better than the sport band because it was more breathable. The Nike+ variant of the sport band, though, gives it a run for its money. I do wish it was available in more colors, though. Black, white, and volt (green) are fine. But this design is also begging for a shocking yellow, neon pink, and even a bright orange trim. Don't even get me started on Product (RED). Hopefully we'll see those eventually — maybe if/when the bands go on sale separately? Like with the casing, there aren't any fancier versions of Nike+ bands available. Nothing in leather or steel. Since Apple Watch Nike+ is compatible with the full range of Apple Watch bands, though, from woven nylon to Hermès, when you're done working out you can still dress it up just as fancy as you want. That's the huge advantage of Apple Watch Nike+ not simply being tied to NIke+ services but being part of the Apple Watch family as well. Apple Watch Nike+ gives you everything you get in the regular aluminum Apple Watch Series 2 and more. You get the exclusive Nike+ watch face and bands, and tight Nike+ integration into complications and Siri. All for the same price of $369 for the 38mm and $399 for the 42mm. Even though I ultimately preferred Apple's Activity Sharing and workout app to the Nike+ integration, if I were getting an aluminum Apple Watch Series 2, Apple Watch Nike+ is absolutely the one I'd get. In fact, it's the one I got for one of my family members for Christmas, who was ecstatic. I very much hope, like Hermès, Apple Watch Nike+ isn't a one off but rather the beginning of a beautiful partnership.